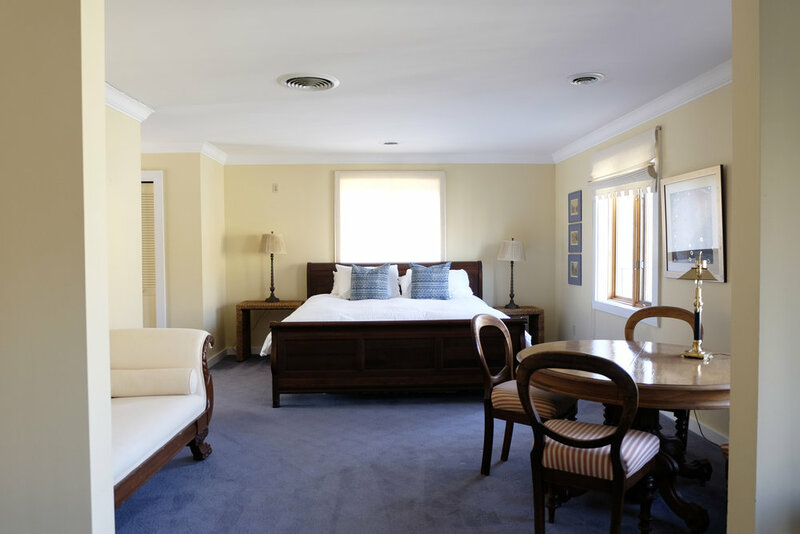 SUITE 5 • On the second floor of our Main House, this suite has a bright and airy living room with fireplace, open concept bedroom with a king sized bed and pull out chesterfield. Beautiful and spacious with a large side balcony overlooking the Guest House and gardens. The European style bathroom has a slipper soaking tub and walk in shower. There are seventeen stairs up to the suite. Canadian Explorer and Cartographer, Admiral Henry Wolsey Bayfield. The Village of Bayfield on Lake Huron, along with dozens of other locations in the United States and eastern Canada, are named after the British Naval Officer, Henry Wolsey Bayfield (1795-1883). Starting in 1816, he helped survey most of the lakes, rivers and streams from Lake Superior to Newfoundland and consequently his name was given to many locations on his charts. Starting in the autumn of 1818, Lieutenant Henry Bayfield began surveying Lake Huron which still had no European settlements and was virtually unknown to all except the native Indians and French ‘Couriers de Bois’ who transported their furs south to American Trading Posts. While surveying Lake Huron, Bayfield had only one inexperienced assistant, Phillip Edward Collins. The two of them spent months living out in the open, sleeping under buffalo robes in their small open boats. The large number of islands and bays in Lake Huron and Georgian Bay made this survey a four year endeavour. Bayfield had a special connection to this village because he was the cartographer who Baron Carol Lodewijk van Tuyll consulted with when he was searching for the best place to invest in real estate in Canada. The sophisticated van Tuyll could have invested anywhere in the world, but it was upon Bayfield’s recommendation that he eventually purchased extensive lands on the Bayfield and Maitland River. Bayfield retired from the British Navy in Charlottetown, P.E.I. as an Admiral and his charts, developed from readings taken in small open boats, were used in many heavily shipped areas for a hundred years after his death.